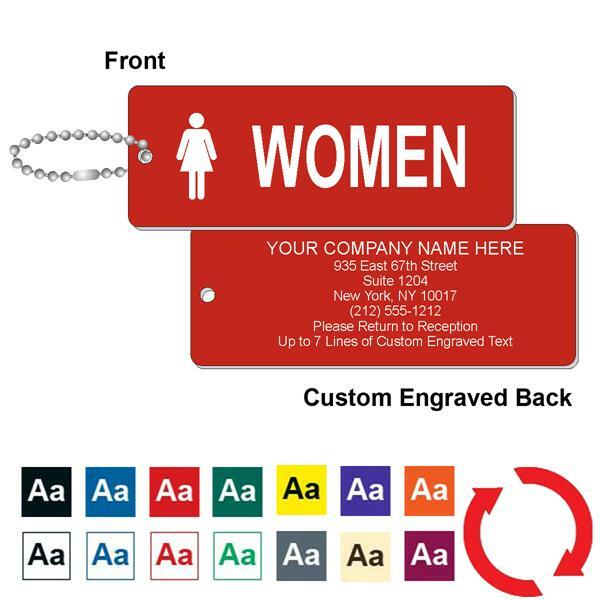 Our Womens' Restroom Engraved Key Tags are made in the USA of indestructible 1/8” thick ABS plastic with a durable Acrylic Cap (top color). Perfect size, sturdy plastic key tag for your mens room keys - Use in situations to ensure the keys are always returned. Helps to prevent losing the keys to the women's restroom !. Available in 14 colors- Standard is Red with White letters.